Your blueprint for beautiful wedding design. 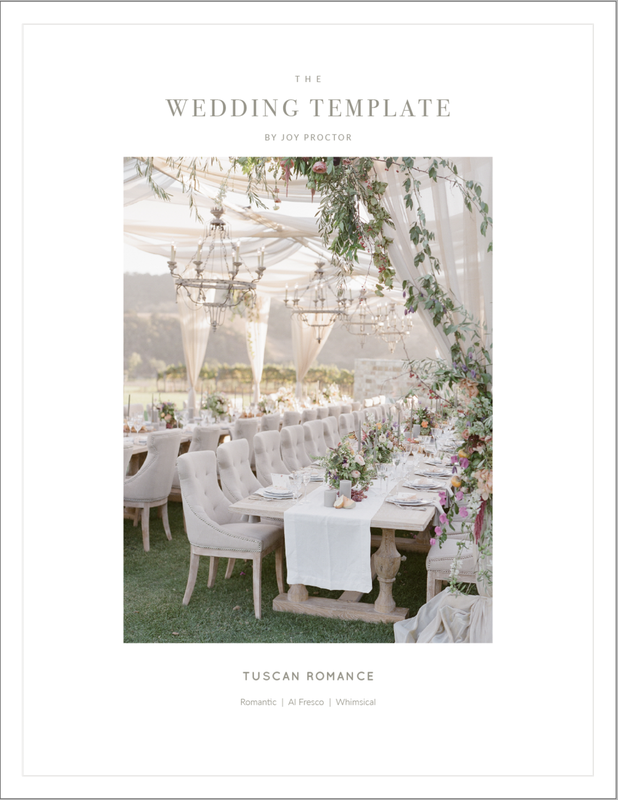 The Wedding Template is a 50 page manual filled with the tools, tips, sources and secrets to design your dream wedding. Designer, and world renowned stylist Joy Proctor guides you through her most popular wedding and editorial designs, starting with a mood board, color story, and recommendations for bridal party style. Walking you through invitations and papers goods, flowers, food, lighting and tables, each template provides guidelines for your entire wedding. Think of it as a blueprint to your designer wedding, from Ceremony to Reception. "A must have for couples with great taste."